Car seats can be one of the best storehouses of gunk, dust, dirt, grime, food bits and spills. Kids and family time in the car is one of the best times while driving but it also results in spills and stains. You need to get rid of the stains, spills and even the grime (which gets accumulated over time) on the car seat. Well, for a clean and fresh-smelling car seat, you’ll need to get it cleaned regularly. Now, you need not visit the detailing service center every now and then for this. Neither do you need to buy fancy cleaning products and equipments. In this blog post, we will share some useful and easy-to-do tips on how to clean car seats with household products. For your ease and for the sake of detail, we have divided the cleaning procedure for the car seats according to the seat type. Car seats are generally of two types: cloth car seat and leather car seat. Both the material will require a different cleaning procedure and even different cleaning products. Nevertheless, all the products & equipments required are easily available at home and you don’t need to spend on extra stuff. We have also included alternative cleaning products in case you don’t have one readily available at home, you can use the other one. We’ll start with cloth car seats. Below is the step-by-step cleaning procedure for cloth car seats. It’s very important to vacuum before any cleaning procedure and the same is true with cleaning your car seats. Vacuuming helps to get rid of dirt, dust or any other bits of food particle. Dry Vacuuming freshens up the surface area so that it doesn’t get messy when you start with the actual cleaning. Therefore, vacuum the entire surface well and don’t forget to get out that dirt and debris from the seams. You can use your fingers to separate the seams and then just stick the nozzle of the vacuum cleaner into the seams to pull out all that hidden muck. It’s time to prepare the cleaning solution to use on the seats. You can go for a baking soda solution as it is a great cleaning agent, is safe on fabrics and is also easily available at home. To prepare this solution, mix ¼ cup of baking soda with a cup of warm water. You can also add a little dish soap as it is refreshing on the fabric. Now, give a quick whisk to this mixture. You can use a vinegar mixture as vinegar is also an awesome cleaning agent and works great on grease and grime. Mix a cup of vinegar, a few drops of dish soap and a cup of hot water. You can also use club soda as a cleaning solution. It too works great on stains. You don’t need to mix it with hot water or dish soap. You can just fill the club soda in a spray bottle and lightly spray on the stained area. Last but not the least; you can simply use laundry detergent if you don’t have any of the above mentioned stuff. 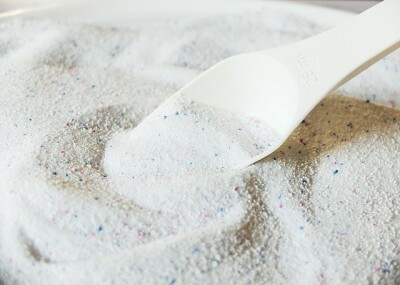 Mix some laundry detergent with hot water and you are good to go. Now, it’s time to work on the seats. For this, it’s best to spray any of the above-mentioned cleaning solution on to the seat fabric. Fill the solution into a spray bottle and lightly work on the solution on the seat. You want to lightly spray the solution rather than dampening the seat cushions. So, Make sure not to spray so much that you saturate the area. This can lead to mold and smells on the cushion underneath the cloth. You can use an interior brush to clean the sprayed surface. 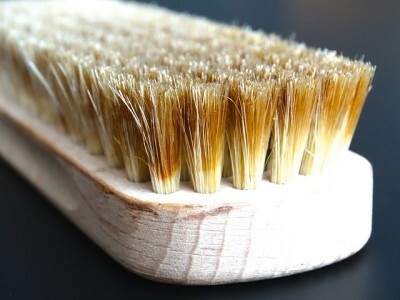 If you don’t have an interior brush, you can use any other soft to medium-stiff fabric cleaning brush you have at home. Immediately brush the area after spraying the solution and make sure to work at one area at a time. If you don’t have a spray bottle, you can just dip the brush into the solution and start working on a particular area. Once you are done with one area, move on to brush another stained area until you completely cover up the whole seat. Remember once again at this point that you don’t have to soak the fabric entirely but just lightly dampen it. Now, massage the cloth to bring dirt to the surface. When the suds start to gather with dirt in them, use a microfiber towel to wipe away the dirty suds. Make sure to do this before it dries, which will put the dirt back on the seat. Repeat the above process of spraying, brushing, massaging and wiping until the surface is clean. Try to use light coats while working on the stains as it helps to bring up the dirt on the surface. 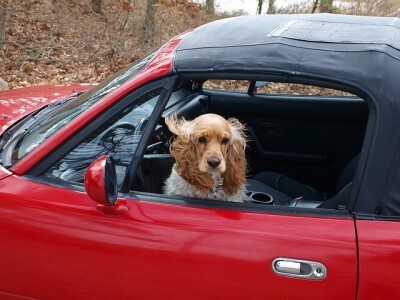 After the stain is removed, lower the windows and let the seats air-dry. That’s why it’s important that you schedule these cleaning chores on a sunny day. After the seats have air-dried, don’t forget to vacuum once again at the end. This will help to dry up any leftover saturation on the seat which hasn’t dried yet. It will also help to get rid of any dirt or debris accumulated while air-drying (especially if it’s a little windy outside). The above cleaning procedure will help you attain a clean car seat but it won’t be much helpful in adding a long-lasting freshness and fragrance. If you wish to have nice-smelling car seats after the clean-up, you can spray the seats with any fabric freshening spray on the seats. Don’t be disappointed if you have leather car seats. Of course leather needs a little different cleaning procedure and we have got you too covered on that. So, let’s start to clean leather car seats. The first step is same as with cleaning cloth car seats. As already mentioned, vacuuming is an essential part of any cleaning procedure; you can’t skip it with leather seats too. And don’t forget the seams too. Use your fingers to separate the seams and then just stick the nozzle of the vacuum cleaner into the seams to pull out all that hidden muck. Leather is different than fabric and normal cleaning solutions like detergents and dish soap don’t work well on it. 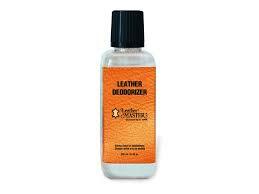 You can use a leather cleaner spray for effective cleaning. Spray the cleaner on the seats and scrub lightly with a tooth brush. 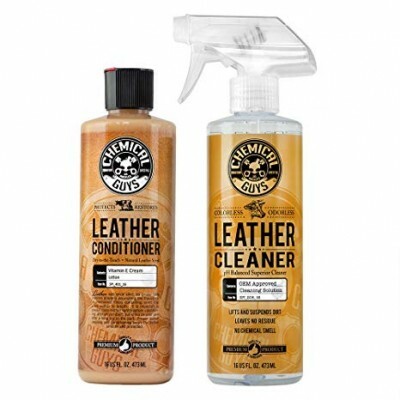 However, if you don’t have a leather cleaner spray, then we have listed below a few cleaning solution to effectively remove stains and spills from leather. You can use nail polish remover or rubbing alcohol. You don’t need an interior brush to scrub the stain. Rather, blotting the stain with a cotton ball that dipped in the alcohol/remover will slowly remove the mess from the leather. 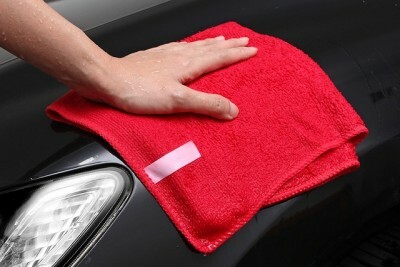 And once the stain is removed, wipe away the alcohol/remover with a damp microfiber towel. Using non-gel toothpaste can also help to get rid of stains from leather. Dab a bit of toothpaste on the stain and then use a clean toothbrush to gently scrub away the stain. The vinegar mixture works on leather seats as well! 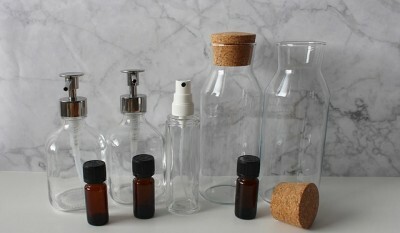 Make sure that you don’t add water to vinegar. 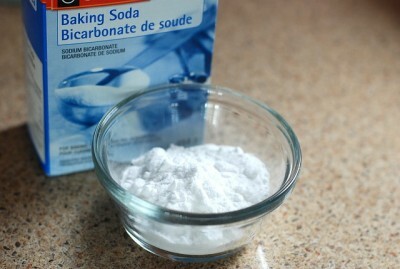 Instead adding a little baking soda will help. You can use a toothbrush the scrub away the stain. Now, massage the leather to bring dirt to the surface. When the suds start to gather with dirt in them, use a microfiber towel to wipe away the dirty suds. Make sure to do this before it dries, which will put the dirt back on the seat. Repeat the above process of until the surface is clean. The above cleaning procedure will help you attain a clean car seat but it won’t be much helpful in adding a long-lasting freshness and fragrance. 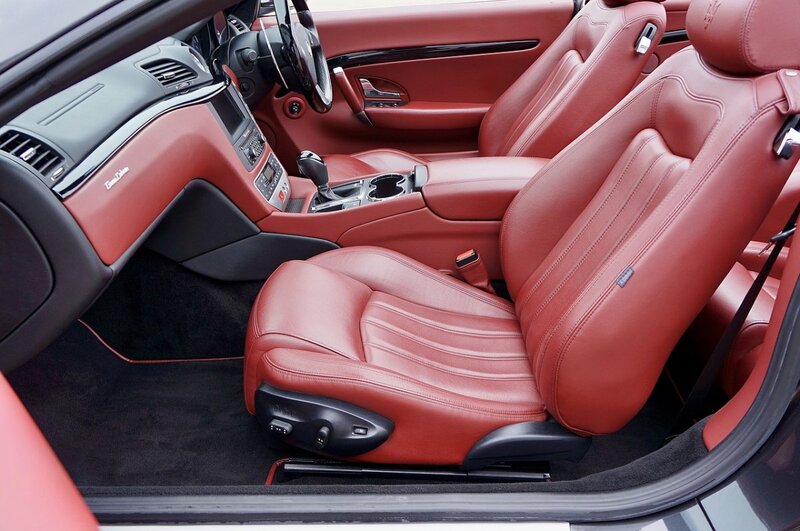 If you wish to have nice-smelling car seats after the clean-up, you can spray the seats with any leather freshener especially formulated for car interiors. That was a step-by-step guide on cleaning your car seat from Own a Car Fresno. We have taken care to suggest you the cleaning tips on the basis of seat material type. All the steps suggested are generally easy do-it-yourself tips. So, it won’t be difficult for you. However, make sure that you do this on a sunny day for better drying. If you have any queries or found the tips helpful, do let us know in the comments section below.